The organization Falun Gong made news in 1999, when its members held a massive demonstration outside Communist Party headquarters in Beijing. In response, Chinese authorities labeled the group an evil cult. And during the past 10 years, they have arrested thousands of Falun Gong adherents. Human rights organizations say many followers have been tortured and some have died while in custody. Falun Gong practitioners in the United States say they are working to get out their message in the face of a propaganda campaign by China. Falun Gong supporters turn out to protest at major events involving China. In the run-up to the 2008 Olympics in Beijing, they drew attention to their cause, together with supporters of an independent Tibet, and free speech and human rights in China. The group, known as Falun Gong, or Falun Dafa, conducts a war of words with the Chinese government through multiple Internet Web sites. Adherents say it is in response to the persecution of practitioners in China and attacks on the group by the Chinese media. Falun Gong has also created its own media outlets, including the Epoch Times newspaper and New Tang Dynasty television. Both are available in the United States and several other countries. "In Geneva today, Chinese officials are facing questions from the United Nation's Committee Against Torture...," said the New Tang Dynasty television. Falun Gong was founded in 1992 - one of many groups that promoted the popular practice of qigong [chee-gohng], a system of self-reflection through slow, meditative exercises. Some Communist Party officials practiced qigong, and at least a few were sympathetic to Falun Gong. The organization claimed 100 million practitioners in China. But negative stories spread of Falun Gong practitioners forgoing medical treatment, instead relying on spiritual exercises, with some succumbing to their ailments as a result. Chinese officials worried about the group's increasing size, aware that religiously inspired revolutionary movements have helped to topple imperial dynasties in the past. Political scientist Maria Hsia Chang, author of the book Falun Gong: The End of Days, says Chinese officials try to control civil society and worry about the group, even though it is not overtly political. "OK, today you are not political, but since you have got all these millions of followers and you have an organizational network, what is to prevent the leader from suddenly becoming political the next day?," Maria Hsia Chang. 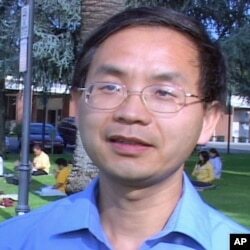 Falun Gong founder Li Hongzhi says he possesses supernatural powers and his followers compare him to the prophets of the major world religions. Chinese officials say the claims are absurd and that Li is a fraud. Some in the West agree with that assessment. But China scholar David Ownby of the University of Montreal does not. Ownby is author of the book Falun Gong and the Future of China. He says there is no consensus on matters of religion and that one person's prophet is another's charlatan. Ownby says there is no agreement on what constitutes a cult and what represents an authentic faith. Still, he says the writings of Li Hongzhi are less than original. "Li Hongzhi, the founder and leader of the Falun Gong, is, I think, nobody's idea of a brilliant spiritual thinker," said David Ownby. "If you take his writings in the context of other religious or spiritual writings, they might be viewed as syncretic [a combination of different beliefs] or crude by some. But that being said, I don't think there's any justification at all for the persecution of the Falun Gong practitioners." Ownby says he sees no evidence that the group has engaged in violence, as Chinese officials claim, and that it became politicized only in response to the government's crackdown. Falun Gong has found its voice through its practitioners. Some are skilled in high tech professions and others, like Canadian actor Michael Mahonen, are skilled in media. 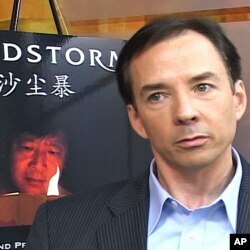 Mahonen has written and directed an independent film called "Sandstorm," using his own resources and help from other Falun Gong adherents. The fictional drama looks at the confrontation between an imprisoned practitioner and the police official charged with breaking her will. Mahonen says the film shows the kind of abuse, including shocks with electric cattle prods, that practitioners report suffering while in China. Human rights groups say Chinese authorities have made widespread arrests of Falun Gong members and that there are credible reports of torture and of some practitioners dying while in custody. Filmmaker Michael Mahonen says evidence collected and displayed on a Falun Gong Web site forms the basis for his film. "Often photos of brutally beaten bodies or else notifications that after the death, the bodies were summarily cremated to get rid of any evidence of abuse, which is what happens in the movie," said Michael Mahonen. Chinese officials deny mistreating Falun Gong practitioners. But critics say the denials ring hollow because China is a closed society, with rigid press restrictions and tight controls on information, so its assertions, they say, lack credibility. Still, critics of Li Hongzhi say he shares some responsibility for the plight of his followers. Li has lived in the United States since 1998. And scholar Maria Hsia Chang notes that since 1999, when the group was banned in China, thousands of Li's followers have been arrested. "So Li Hongzhi, I'm going to challenge you," she said. "What kind of a leader are you to then leave your own people, your followers, to suffer like that in China and you yourself took off to safety?" Yet Chang says there is no excuse for the repression by Chinese authorities. She says it reflects the government's weakness because it is unable to tolerate even mild dissent. In a quiet Los Angeles park, half a world away from Chinese detention centers, Falun Gong practitioners gather early on a Sunday morning to practice meditation and slow, rhythmic exercises. Zheng Qu, a Chinese immigrant to the United States and a climate scientist at NASA, says that for him, Li Hongzhi's teachings fulfill a spiritual yearning. "I feel that this is the best answer to all my questions," said Zheng Qu. "And what it brings more to me, after I started the practice, almost immediately I feel that this brings me internal peace." Falun Gong practitioners say they have been unfairly portrayed in the mainstream media. 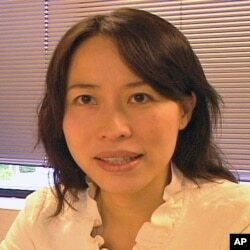 They say that reporters repeat unfounded Chinese charges in the interest of journalistic balance. Scholar David Ownby says they have a point, and that many official Chinese pronouncements about the group are untrue. Falun Gong adherents say they will continue to get out their message on their own. Sherry Zhang, a San Francisco business consultant and Falun Gong practitioner, hosts a radio and television program that highlights the persecution of the group. The program is broadcast on New Tang Dynasty Television and the Internet. "You can see for 10 years now, people still keep up this peaceful resistance," said Sherry Zhang. "I think people won't stop until the persecution stops. And that's a simple request. Just stop the persecution. You can't continue these violations, these brutal violations, of human rights." Analysts David Ownby and Maria Hsia Chang see a growing interest in spirituality in China and they say Falun Gong has been part of that movement. But neither says the Chinese government will abandon its campaign against the group any time soon.